Ed Marnane: Dubai – On Thursday racing returns to Meydan for a competitive seven-race card, highlighted by a valuable 1400m handicap. Only eight horses have been declared for the event, seven without the benefit of a recent run and it looks wide-open. Top-weight Shajjy, one of three runners sporting Sheikh Hamdan’s blue silks, was entitled to need his recent comeback at Jebel Ali, the four-year-old’s first start of the season. Trained by Musabbeh Al Mheiri, he produced his best effort since arriving in the UAE, finishing mid-division behind High On Life. It was encouraging performance on his dirt debut and he warrants respect if taking a step forward in the hands of Ben Curtis. 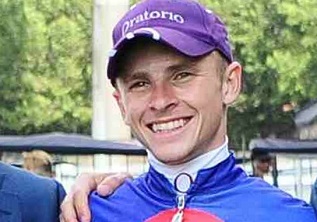 Dane O’Neill, contracted to Sheikh Hamdan, has chosen Taamol, sporting the first silks of the former champion owner. Trained by Ali Rashid Al Rayhi, he will enjoy the step down in class to handicap company having tackled stronger opposition in his final two appearances last term. Former champion trainer Satish Seemar saddles three runners — Way Of Wisdom, Pilgrim’s Treasure and Mazeed — the last-named has the assistance of Richard Mullen and gets weight from his seven rivals. A winner on his seasonal debut at Meydan last term, he’s a consistent and reliable performer and can be fancied to put up a bold show. Pilgrim’s Treasure, to be ridden by Tadhg O’Shea, signed off his campaign last season with a narrow victory at Meydan. He warrants respect from a yard that has made a solid start to the new season. Dirilis Ertugrul, trained by Ismail Mohammed, can open his account in the 1600 maiden, Race 3. The lightly-raced US-bred colt progressed nicely last season, posting his best effort when staying on strongly to finish a close-up third behind Gundogdu at Meydan. The fragile Wild Tempest, runner-up to the mighty Cracksman on his racecourse debut two years ago, looks a threat to the selection. 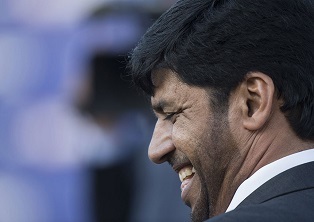 He made an encouraging start after a lengthy spell on the sidelines on his recent UAE debut at Jebel Ali, leaving the impression he’d strip fitter for the race, understandable on the back of a 737-day absence. Roy Orbison, trained by Ali Rashid Al Rayhi, has no fitness concerns after contesting a handicap at Jebel Ali’s opening fixture 13 days ago and is one to consider. Beachcomber, not seen for nearly 12 months, enters calculations if reproducing his form behind Mazeed in the hands of former champion Richard Mullen. In the opening handicap, run over 2000m, champion trainer Doug Watson is responsible for three of the eight runners. The American took the training honours with a spectacular four-timer at Meydan’s opening fixture of the new season last week. The veteran Storm Belt, twice a winner at Meydan, leads his three-pronged challenge, joined by course winners Grand Argentier and Tried And True. The last-named, the choice of stable jockey Pat Dobbs, failed to win last season but ran well in defeat, twice over today’s course. Bois De Boulogne makes a quick reappearance after making late headway to chase home the impressive winner Litigation, over today’s course and distance, seven days ago. That was a pleasing display after a lengthy layoff and having missed the break, costing him valuable ground. If he jumps smartly, the son of Street Cry has obvious claims of going one better. Sea Skimmer, a winner at Meydan 12 months ago, has slipped to an attractive mark and is one for the shortlist, along with unexposed maiden Sa’ada from the foot of the weights. Racing gets underway with a 1600m maiden for juveniles and the valuable prize has attracted a disappointing turnout, only six have declared after the race was reopened. Four runners — Emdad, Lahmoom, Superior and Luxor Temple — have the benefit of a recent barrier trial, in which Luxor Temple came out on top. However, he did little for the form, trailing in last of five on his racecourse debut here last week. 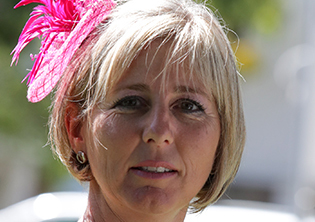 The French import Queen Monaco gets a tentative vote for new trainer Helal Al Alwai. She showed promise on her on second start at Vittel, weakening in the closing stages to run third having made the early running.